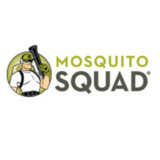 Mosquito Squad of Central Massachusetts is your full-service mosquito-and-tick protection company. Our barrier yard spray eliminates mosquitoes and ticks from your yard all summer long. Protect your family from Lyme disease, Babesiosis, Zika Virus and other mosquito and tick borne illnesses that are an increasing concern in Massachusetts. Spend more enjoyable time outside without being bitten by pests. If you are planning an outdoor event in Chelmsford, Cambridge or the surrounding areas, we do special event sprays. Don’t let biting and stinging insects like mosquitoes ruin your day. We apply a barrier spray 24-48 hours prior to your barbeque, wedding, or special event. Your special day will be bug-free and comfortable for your guests. Do you have any questions about Mosquito Squad of Central Massachusetts’ mosquito-and-tick control products or services? If you are in Chelmsford, or areas that we service below, please click contact us and fill out the form or give us a call at (877) 387-7823. We look forward to protecting your family and pets from nagging, disease carrying pests. 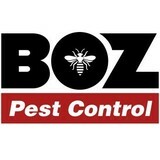 BOZ Pest Control is a full-service and licensed Massachusetts pest control company owned by Richie "The Bug Man" Bozarjian, who draws over 25 years of experience handling all pest problems with high-quality and personalized customer service. BOZ Pest Control utilizes safe and fully effective methods to handle troublesome pest problems and comprehensively addresses all situations, whether it is an emergency or scheduled service. 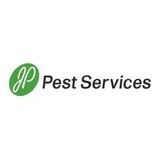 JP Pest Services has been providing pest control solutions for New England homes and businesses since 1925. Our home pest experts can identify conditions that invite pests into your home, treat existing infestations, and protect your home against future invaders. Equipped with the latest research, advanced technology, and extensive training methods, our team of pest control experts delivers a targeted solution that will protect your home year-round. Pro Pest Control is a locally owned and operated small pest control business that has served Eastern Massachusetts for over 20 years. We have successfully eliminated Ants, Termites, Mice, Cockroaches, Bed bugs, and other pests from thousands of homes and businesses. We pride ourselves on providing honest, dependable, reasonably priced, professional pest control extermination services to all our customers, big or small. 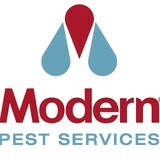 At Modern Pest Services, our number one priority is keeping your family safe and your home pest free. That’s why we created our HomeCare Green program, a year-round pest control solution that includes a thorough inspection, seasonal visits, carefully targeted treatments, exclusion techniques and preventative measures. Our HomeCare Green program covers 60 pests for your peace of mind so you’ll never have to worry about a pest, rodent or stinging insect again! We provide residential, commercial, and industrial pest control services to homes and businesses in New Hampshire and the Northern Massachusetts area. If you are looking for a carpenter ant exterminator, mice or rodent exterminator, or solution for any other type of pest control problem in your home or place of business, Absolute Pest Management is here to help eliminate pests and keep them from coming back! visit us in www.bedbugne.com too. As a family owned business for over 22 years, Absolute Pest Management takes pride in being greater New England’s premier pest management company. With over 25 years of experience, we have been able to perfect our methods and maintain a high level of “green” standards. By focusing on greener treatments to eradicate insects, we’re able to address infestations effectively and safely while being eco-friendly. Besides our commitment to being green, we hold our reputation to high standards through extensive research and maintaining our accreditations through various organizations within the pest management industry. We’re also dedicated to our clients by always being available to address any type of infestation, large or small. It’s our goal is to serve as New England’s only resource for prevention education and providing the safest, most efficient eradication methods possible. When it comes to pests, there is no other alternative that gets the job done right the first time than Absolute Pest Management. Since 1991, we have been trusted by 1,000s of residential and commercial clients to get rid of and prevent pest infestations. We are committed to providing the best possible service to protect against unwanted bugs and rodents…that’s why our exterminators are continuously trained and up-to-date with all of the latest pest control techniques and procedures. All services are 100% guaranteed and rendered by a state certified professional technician. Patriot Pest Management is a family-owned, local pest control and lawn care company serving Massachusetts and New Hampshire since 1986. We are committed to serving our community the way we’d want to be served – with the best services at the fairest prices. When you do business with us, we consider you family. Our exceptional staff is licensed in both Massachusetts and New Hampshire and extensively trained in pest control and lawn care services. Throughout the years, we have proven our ability to manage customer relationships on an environmental, agricultural and business-level without compromising the quality of our services. We use pesticides ONLY when our trained professionals see the need, because we are environmentally conscious about your family and your home. Bain Pest Control Service is a privately held corporation founded by Abraham Bain in 1926. Mr. Bain was a pioneer in the structural pest control and management business. He was also an artist by hobby and many of his paintings still hang in the main office building of Bain Pest Control. Bain is still a family business, and its current president is Abraham’s grandson, Jeffery L. Bain. Bain Pest Control Service has been in continuous operation in the New England area for over 84 years and was one of the first members of the New England and National Pest Control Associations. The company has grown to become one of the premier pest control companies serving New England. Maintain safe, sanitary, and pleasant surroundings with services from our family-owned pest control company based out of Lowell, MA. Banner Pest Control has been providing exceptional pest management services throughout Massachusetts and New Hampshire for more than 30 years. Our mission is to provide safe and effective solutions to all of our customers pest concerns. Our trained technicians specialize in residential and commercial pest management, as well as IPM (integrated pest management) services. Insects and rodents bugging you? Stop waiting and worrying. Call an expert. Groton Pest Control is trained to identify your pest threat and risk areas - then treat the causes in ways that are best for your family, pets and the environment. After a comprehensive inspection, we'll create a customized pest control plan that effectively targets cockroaches, silver- fish, ants and common household pests exactly where they appear in your home-inside and out, all year long. The staff at Bee Busters, Inc. will carefully inspect and evaluate your property then suggest the best possible solution for your needs. Bee Busters, Inc. is owned, operated, and managed by Mary Spinosa (Wilson). Mary has been in the pest control and bee relocation industry for the past 32 years! Mary holds a license as a certified pest control applicator for the Commonwealth of Massachusetts, license number 27284. She is fully trained to handle all your pest control needs. Although Bee Busters, Inc. focuses on relocating honey bees, the owner Mary also possesses a specialty license to treat termites. Find out which pests are bugging you each month. All work is guaranteed until December 31st of the year treated! "Who ya gonna call? Call the experts!" Get in touch us today to receive your free phone estimate. Acton Pest Control Services has provided effective residential pest control services, commercial pest control services, industrial pest control services and integrated pest management while caring for the environment for over 30 years. We offer 24/7 customer support for all insects, rodents, and wildlife issues. Servicing a 30 mile radius of Acton, Massachusetts. About Us: Established in 1982, we are a locally family owned and operated business providing high level integrated pest management solutions. We will do everything possible to satisfy your needs while always offering great prices on all pest control services. We understand your frustration and anxiety at the appearance of ants, bees, wasps, insects and common pests invading your home. That's why we offer a promise to make the right decisions for our customers. Unwanted guests are never fun, especially when you can’t ask them to leave. Luckily, Weare pest control companies have no problem kicking them out. Whether there’s a rodent in your basement or insects in the attic, call your local Weare exterminator to take care of them — do not try to wrangle them out yourself! Not sure which type of home pest control service in Weare, NH can tackle your issue? Read profiles and ask about their past experiences to get a good idea.